The winning Oklahoma Sooners 100% Acrylic Triple Woven Jacquard Throw/Blanket!Features include:Loom-woven triple-layer jacquard throw/blanket is fringed on all 4 sidesCan be used at the game, on a picnic, in the bedroom or cuddle under it in the den while watching the gameUse it as a room accent, throw blanket, bed covering or wall hangingEasy Care. Machine washable and dryable4 feet wide and 5 feet longMade in the USAHere is an example of a similar throw blanket in use. 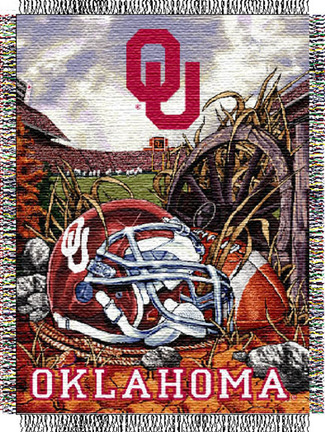 You found Oklahoma Sooners "Home Field Advantage" 48" x 60" Throw Blanket in category Football and subcategory FanShop. If you need to buy more FanShop than you are on the righ place. 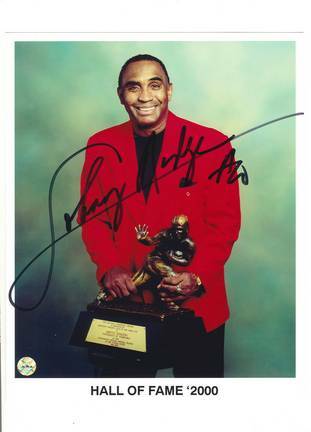 Enjoy this autographed photograph featuring NCAA player Johnny Rodgers of the Nebraska Cornhuskers. A great collector's piece for any Nebraska Cornhuskers fan! 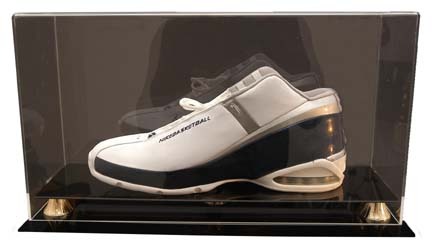 A Certificate of Authenticity is included with this autographed photograph. 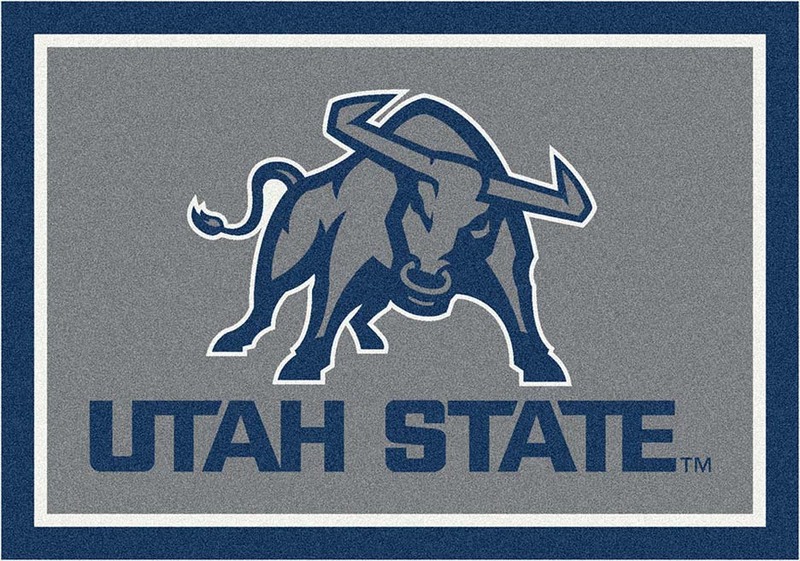 Get in the Game with this NCAA Utah State Aggies Team Spirit area rug from Milliken and Company - the leader in textile research and design. Made of 100% nylon pile fiber. Made in the U.S.A.To view all the Milliken Area Rugs available for this team please click here.